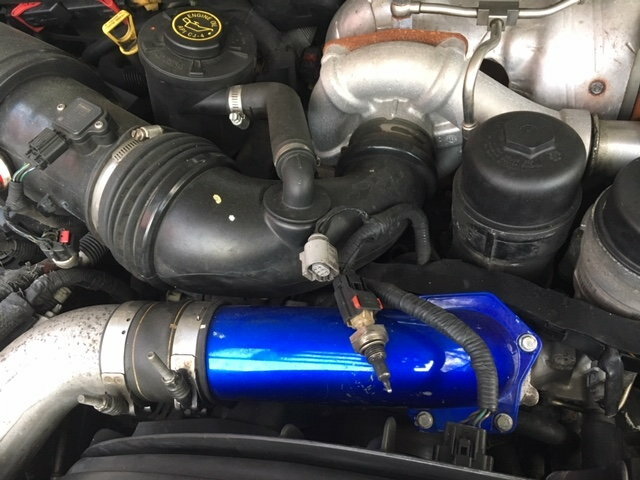 After the EGR was deleted, is the EGR temp sensor in place?? Eyeball this link just FYI . Thanks for the feedback. To tell the truth I'm not sure where the EGR temp sensor is. I do get a PO40D EGR temp sensor a circuit high code almost every time I drive it. I thought it was deleted with the EGR. The pcm/ecm needs a reed on the sensor to insure your not out of range. 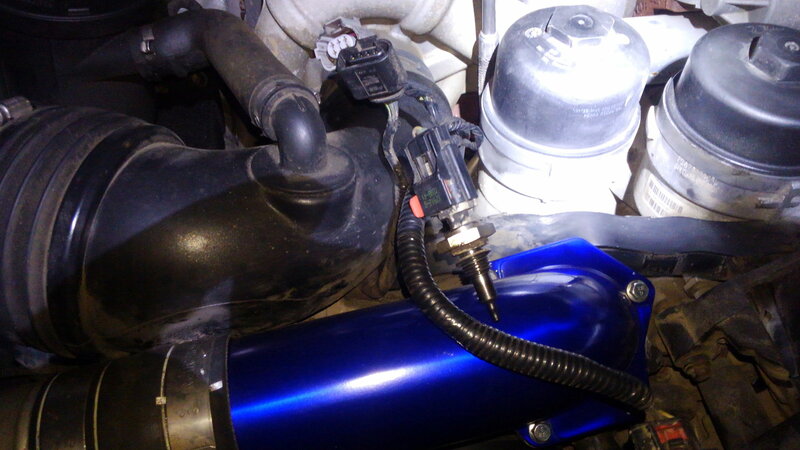 Look around the new pipe that bypassed the EGR and see if the pigtail is hanging empty. You should have two pigtails. One is going to be a plug (should be empty), the other will house the sensor. If the sensor is removed, I'm thinking the computer is saying wtf. Look down this forum a few threads for a picture that was posted about "loose cables" and you can get a great view of what you should be seeing. That is the sensor that was on the EGR correct. The EGR temperature a sensor is still there. I'll get it and plug it back in and see what happens. I took the sensor of the vertical EGR cooler and plugged back in, no change. I talked to the guy that sold me the tunes and he gets them from Gearheads, he got in touch with them and they say it's not a problem. I'm calling BS on that one but I really don't know, could be. 樂 I'm going to attach a pic of mine. What does your exhaust temperature read? That one is also commonly called EGR temp 1. Would that happen to be the EGR temp sensor you’re having trouble with?